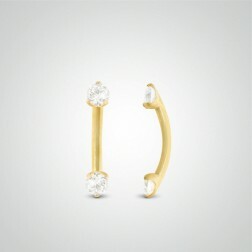 Sale of white or yellow 18 carat gold piercings by EZOR. 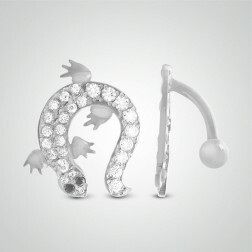 18 carats white gold dolphin nose piercing. 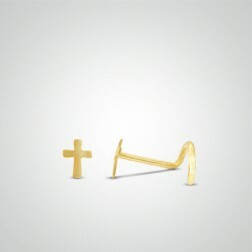 18 carats yellow gold cross nose piercing. 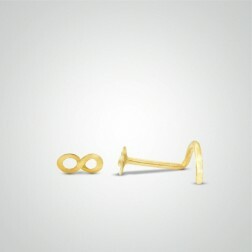 18 carats yellow gold infinity nose piercing. 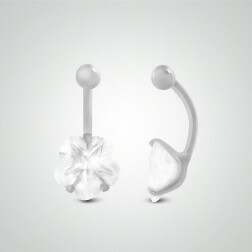 18 carats white gold belly button piercing and flower zirconium oxide. 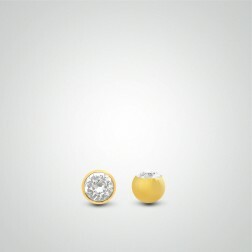 18 carats yellow gold belly button piercing with genuine aquaculture white pearl. 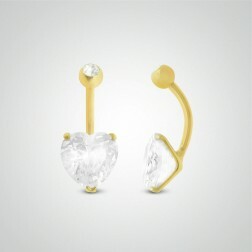 18 carats yellow gold belly button piercing and heart zirconium oxide. 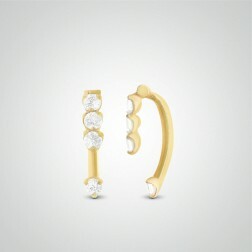 18 carats yellow gold eyebrow piercing with four white zircons. 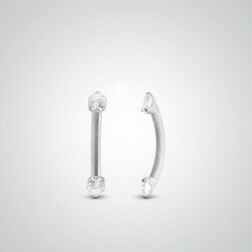 18 carats white gold eyebrow piercing with two diamonds 0,03 carats. 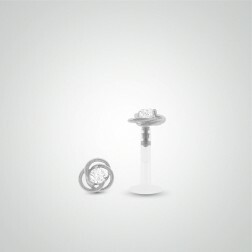 18 carats white gold rose labret piercing. 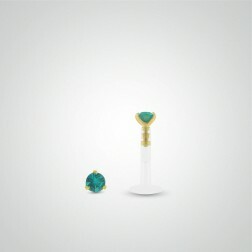 18 carats yellow gold labret piercing with turquoise zircon. 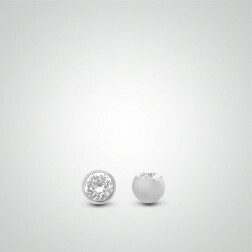 18 carats white gold ball 1,6mm(14ga) with zirconium oxide. 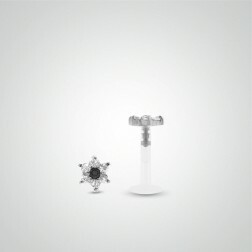 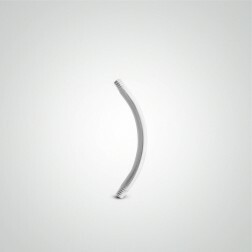 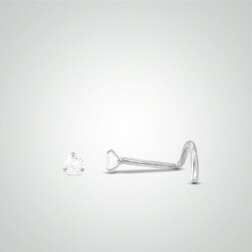 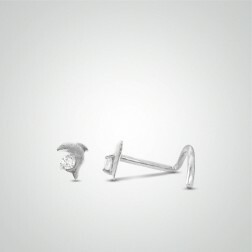 18 carats white gold curved barbell. 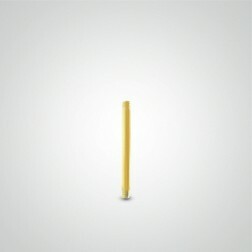 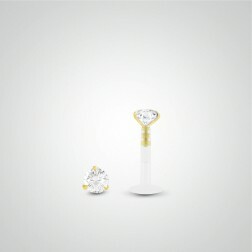 18 carats yellow gold straight barbell.